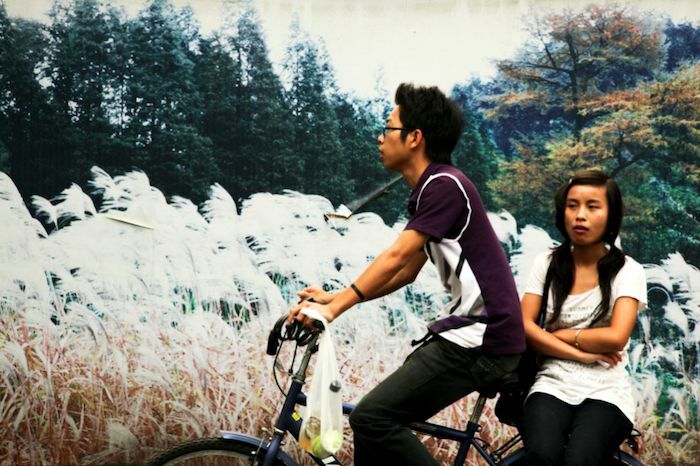 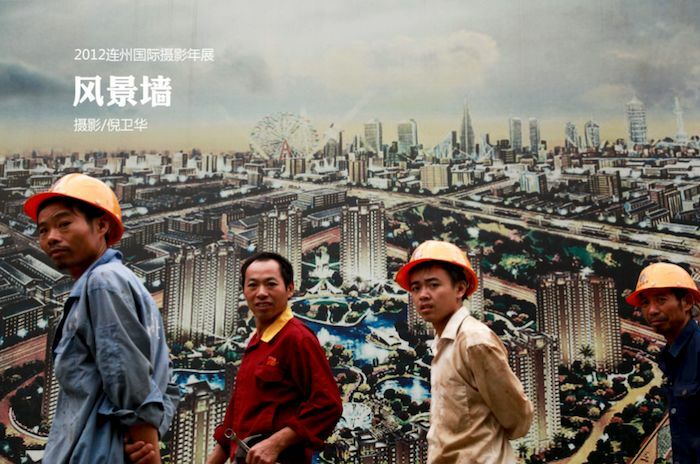 2 Chinese photographer Ni Weihua presented an alternative approach to the reality of China’s cities. 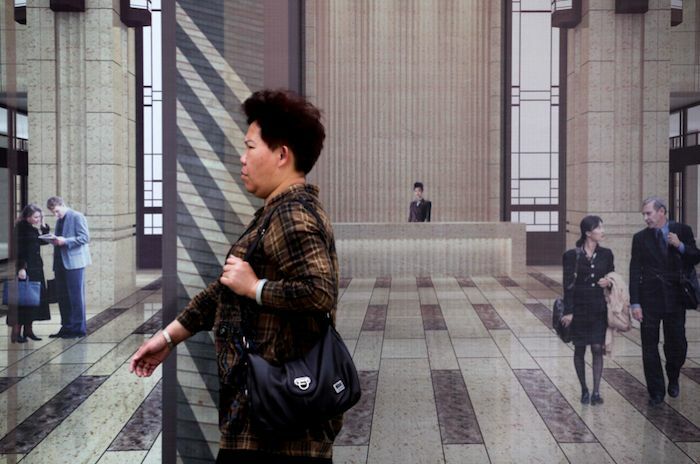 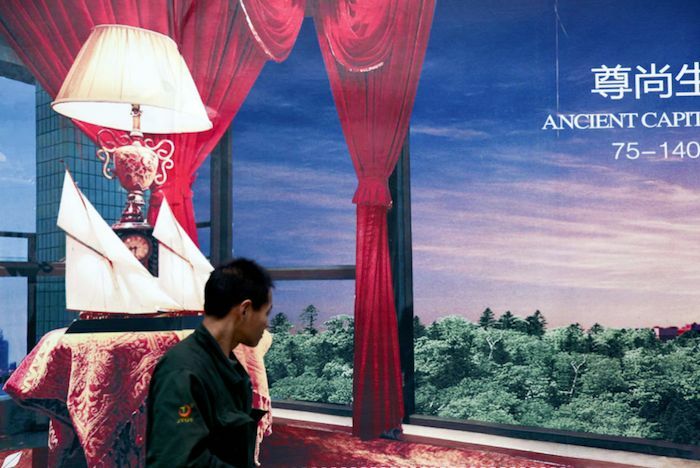 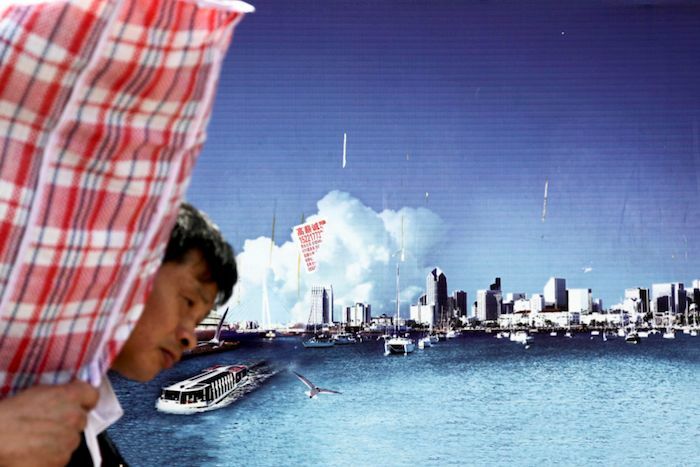 Chinese photographer Ni Weihua presented an alternative approach to the reality of China’s cities. 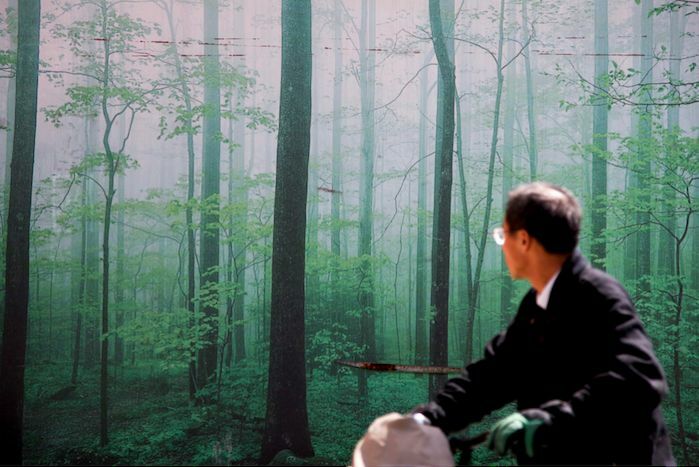 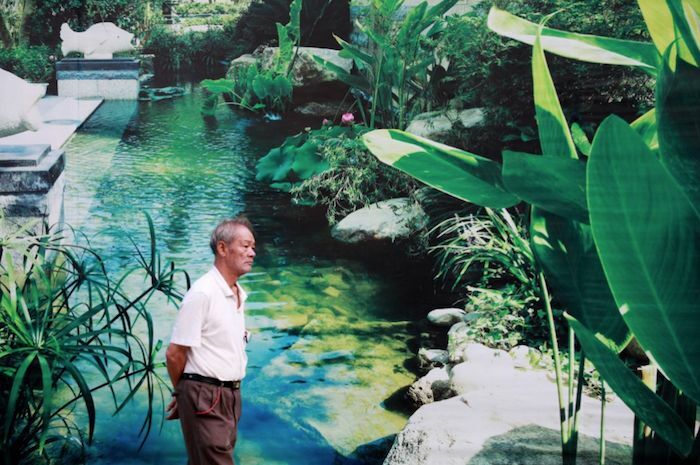 During Lianzhou International Photography Exhibition 2012, he presented for the first time, his recent series of shots. 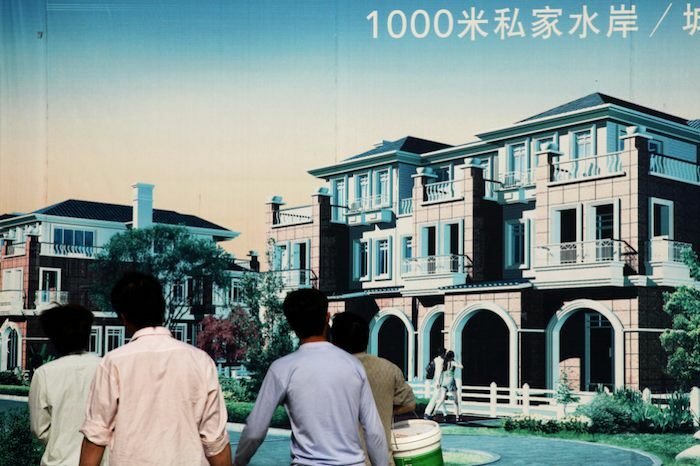 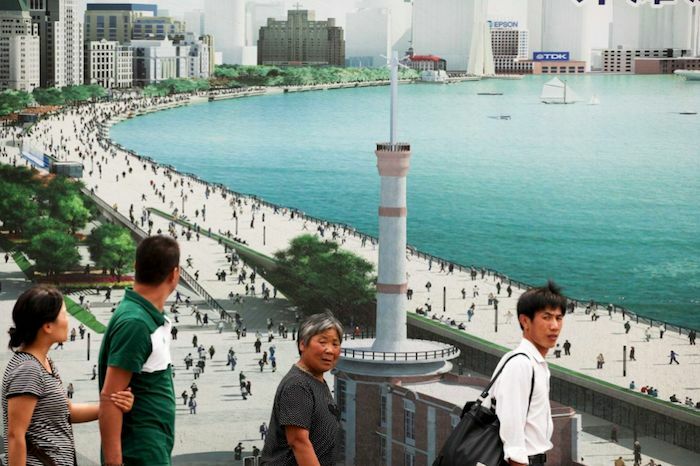 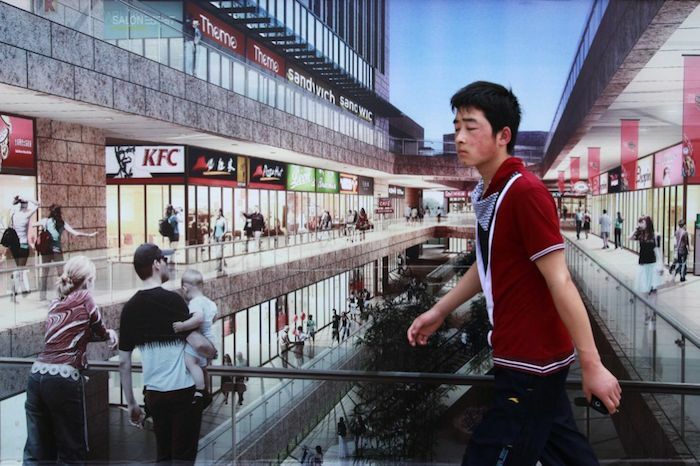 The pictures show a path of interaction in a parallel reality, where people who walk the streets of the city are immersed in the graphics of the giant billboards of real estate. 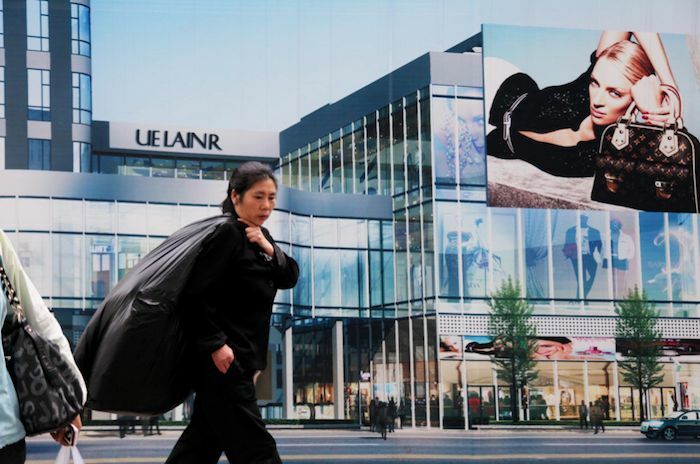 These advertisements, which temporarily surround the large construction projects, host in an alternate world all those who approach.